Arsenal legend Martin Keown believes Unai Emery needs to introduce Alexandre Lacazette alongside Pierre-Emerick Aubameyang up front. 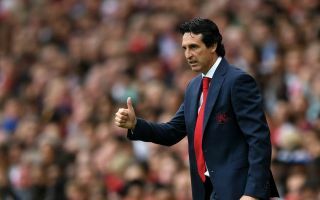 Emery earned his first win as Arsenal manager last weekend with a 3-1 victory over West Ham, but Keown believes the side looked far better when Lacazette was introduced from the bench. The France international had a prolific record at previous club Lyon but has been slow to get going since moving to the Premier League last summer. Aubameyang has since come in in January and has impressed, even if he hasn’t been among the goals as much so far this term. Keown says there seems to be real chemistry between the Gabon international and Lacazette, and that the team lacked a focal point until the latter came on against West Ham. ‘These two seem desperate to play with one another. When Lacazette plays, Aubameyang comes to life. There is undoubtedly a connection between them,’ Keown told the Daily Mail. It does seem without that crucial component up front, Emery’s Arsenal system doesn’t really work at the moment after a poor start to the season under the Spaniard.